Nrf2 Advantage users report positive experiences after using the product. These testimonials are followed by research studies that explain why the product is effective. David Perlmutter MD (the company): "Nrf2 Advantage, developed by Dr. David Perlmutter, is an exclusive formula designed to activate the Nrf2 genetic pathway. This pathway regulates the production of important molecules that impart antioxidant activity, such as glutathione and superoxide dismutase (SOD). It also regulates the production of detoxification enzymes, including glutathione S-transferase, and downregulates signaling factors such as NF-ϰB for a healthy response to inflammation. 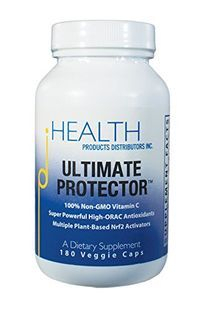 Each ingredient in this formula is backed by extensive research in peer-reviewed journals." See the website drperlmutter.com. O.K. : I have been using Nrf2 for inflammation and am very happy with results. Helps keep my immune system healthy. I also like taking this supplement in place of a prescription drug with side effects. Beatriz: I just started taking Nrf2, this week, after I finished the Alpha Lipoic Acid, that I use to take. I like it very much. Patricia Cobb: I love this product and find it the easiest way to get the benefits of turmeric, green tea extract and cruciferous vegetable. I often only take one capsule because the Black Pepper adds heat, which both ayudervic and Chinese medicine doctors caution me about... causing sweating and can aggravate my skin problems.